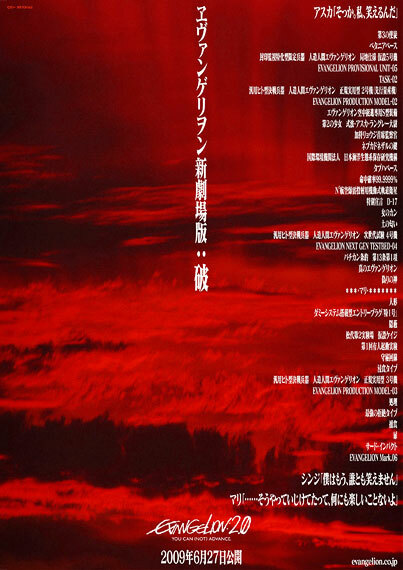 Bandai Channel has posted an official trailer online for Evangelion 2.0: You Can (Not) Advance. The trailer first popped up on YouTube and other sites a couple of weeks ago when a convention attendee taped it off of a monitor. Now you can watch it without convention noise, light glare, or the fact that no one is ever skilled enough to hold a camera steady while recording — I speak from personal experience on that last one. 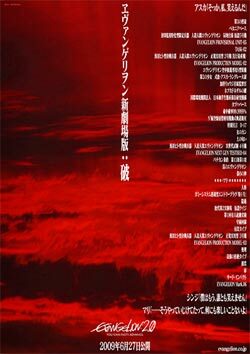 The movie will be in Japanese theaters June 27th, 2009. The first updated Evangelion film is currently licensed by FUNimation in the U.S.